Part of the Studia Fennica Ethnologica series. The West has always been a resource for the Finns. Scholars, artists and other professionals have sought contacts from Europe throughout the centuries. The Finnish experience in Western Europe and the New World is a story of migrant laborers, expatriates and specialists working abroad. But you don’t have to be born in Finland to be a Finn. The experiences of second-generation Finnish immigrants and their descendants open up new possibilities for understanding the relationship between Finland and the West. 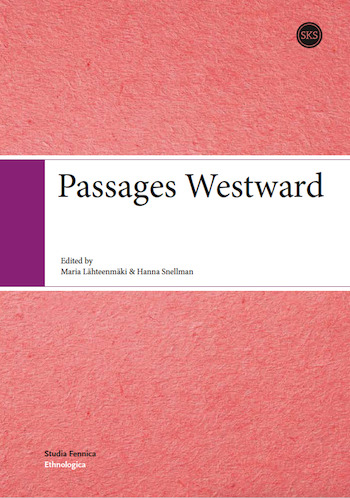 The Finnish passage westward has not always crossed national borders. Karelian evacuees headed west, as did young people from the Finnish countryside when opportunities to make a living in agriculture and forestry diminished in the post-war era. The legacy of these migrants is still visible in the suburbs of Finnish cities today. This book is a joint effort of the Department of Ethnology and the Department of History at the University of Helsinki. It was written by Ph. D. students supervised by Academy Research Fellows Maria Lähteenmäki and Hanna Snellman, in collaboration with colleagues abroad interested in current research in ethnology and history.